Imagine yourself relaxing on the bow of a boat, gently swaying in the waves. Your skin soaking up the warm rays of Sunshine, smelling the crisp Salt Air and sipping on a Gin & Tonic. Doesn't that sounds wonderful? Well, I no longer have to imagine that when I'm not back at home on Vancouver Island. 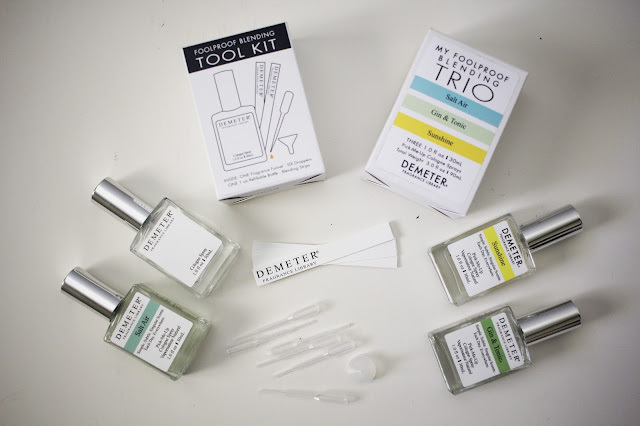 With the help of Demeter and Canadian Beauty Bloggers I have created the perfect scent to take me back to exactly that using Demeter's Foolproof Blending Trio and Foolproof Blending Kit! 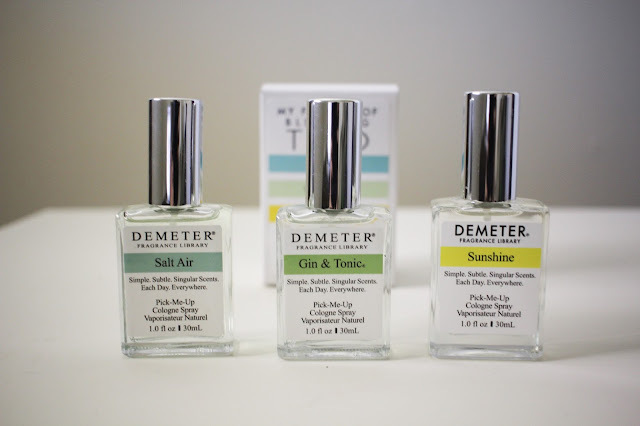 I had never tried Demeter or smelled any of the scents before but I thought that this would be super fun to do and who wouldn't love creating their own cologne? I was right, it was definitely fun and a bit challenging. I ended up creating a scent that is 100% what I imagined it would be. 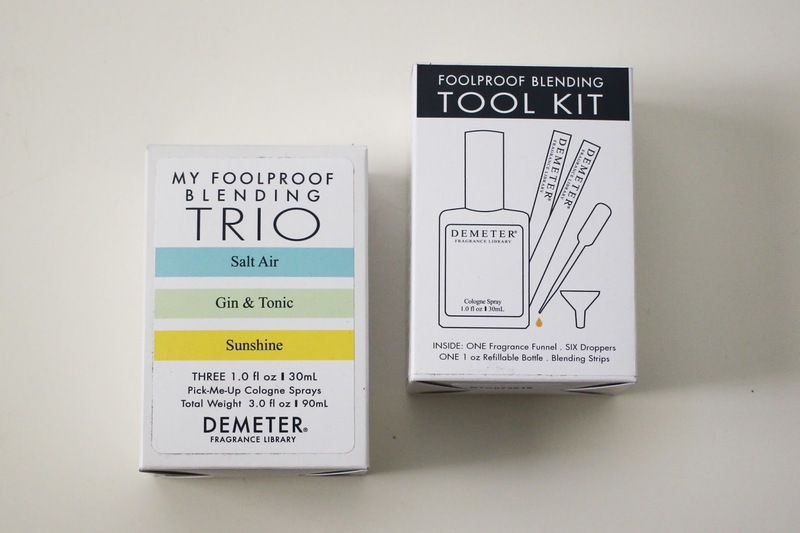 I was sent a trio of scents that I choose, Salt Air, Gin & Tonic, Sunshine, and a Foolproof Blending Tool Kit so that I could create my personalized scent! The idea is that you can create your own personalized cologne spray by mixing from the three scents that you got to chose. 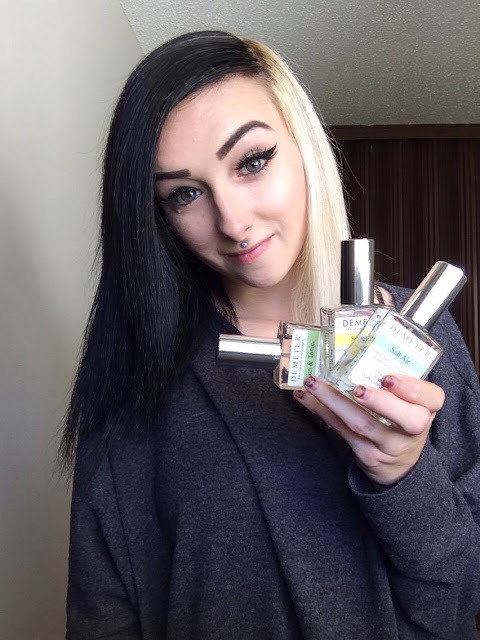 Each scent does truly smell exactly how it's named which makes choosing the scents very easy because you know exactly what you'll be receiving. 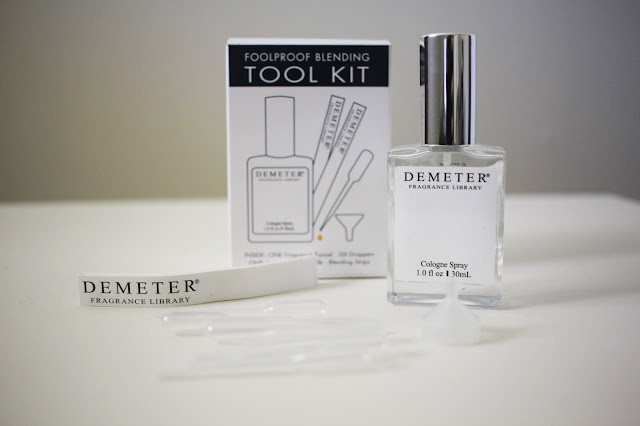 The Foolproof Blending Tool Kit comes with everything to help you create your own scent. It comes with an empty spray bottle, a funnel, six droppers, and a bunch of blending strips so you can figure out how you want your cologne to smell before you really start mixing. The reason that I chose Salt Air, Gin & Tonic and Sunshine was because I knew that I wanted to create a scent that reminded me of my hometown, Ladysmith, on Vancouver Island during the summer. If you've never had the pleasure of visiting there it's right by the water hence the Salt Air, it's quite warm in the summer hence Sunshine and it wouldn't be a real relaxing summer day without a bit of alcohol, I opted for a Gin & Tonic. 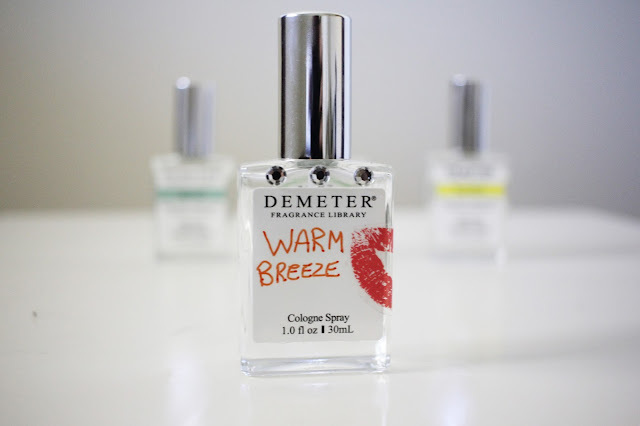 I ended up creating this scent that I called "Warm Breeze". It was exactly how I had imagined it when first choosing my trio of scents from the Classic Catalogue. 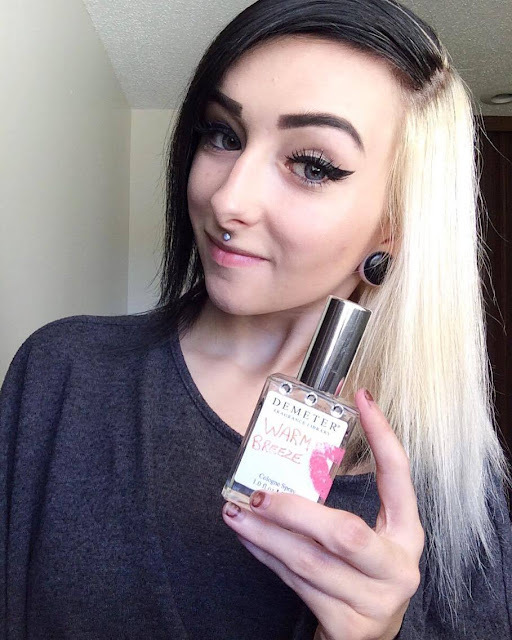 Salt Air is definitely the strongest of the three and as soon as I smelled it I fell in love and knew I wanted that to be a really strong note in the cologne. The second strongest was Sunshine and it's super pleasant to have that show up and bring a warm note. Last but not least I added the Gin & Tonic to spice up the cologne and tie together the warm and crisp scents. It definitely brings me back and is now my go-to fragrance to wear especially when I am missing home!